It was right and proper that Arts Council England’s announcement of those who would be getting NPO funding over the four years from 2018-22 took place in Leicester rather than London. It was a statement of intent in a funding round that saw a £170 million lift to investment outside of London. About time too. As the Hard Facts to Swallow report demonstrated, the 2015-18 round actually worsened the imbalances in funding between London and the rest of the country. This latest round doesn’t come close to creating a level playing field, but it’s a start. 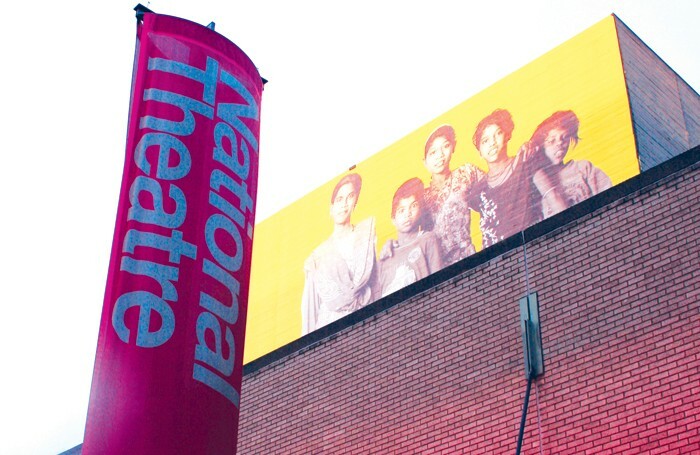 The big four arts organisations – the National Theatre, Royal Opera House, Royal Shakespeare Company and Southbank Centre – took an agreed hit of 3% (4% for the Southbank) but the NT, ROH and RSC rather spoiled what had appeared an act of selflessness and genuine altruism towards the whole of the rest of the theatre ecology by then moaning loudly about how badly they would be affected. This is like someone well-fed and fit who is stretched out over two seats on an over-crowded bus giving up one of their seats to someone genuinely more needy and then hanging over them for the rest of the journey muttering crossly. It’s graceless behaviour, and suggests the mindset among some well-funded arts organisations is still one where they always look to protect their own interests over those of everyone else in the sector. It’s high time they started to act more generously, more like companies such as Slung Low – who see funding as a privilege that brings with it a responsibility to help others – and saw an 82% uplift, or they will eventually go the way of the dinosaurs. The increase for companies such as Slung Low or a theatre such as Derby, which models itself as a learning theatre supporting emerging companies and providing access routes into the profession, sends out a clear signal from ACE to those who remain unwilling to think and do things differently. The increase of diverse-led organisations (BAME/disability/female and LGBT+-led) up to 351 from 183 is welcome too, and it’s terrific to see independents such as Action Hero, Curious Directive, the Chris Goode Company and 1927 being welcomed into the portfolio alongside rural touring outfits such as Applause and grassroots organisations such as Doorstep Arts, who are genuinely demonstrating how the arts can have both an immediate and long-lasting impact on everyday lives. We’ve heard plenty of joy from those who were successful, but we should spare a thought for those who were not. While 831 organisations are getting funding, there were 1,160 applications. That’s a great many broken dreams, although the process of applying, hugely time consuming (and unpaid in many cases) though it might be, may well have been a useful exercise for some even if they failed to secure investment. But those figures don’t even begin to the tell the real and quite frankly scandalous story of British theatre, which is built on the unpaid labour and undervalued creativity of thousands of individual companies and artists for whom the prospect of securing NPO funding is as unlikely as winning the lottery. These are the companies who are producing some of the most innovative theatre but who are dependent on Grants for the Arts (G4A), which is under such intense pressure it’s barely fit for purpose. I hear daily stories about the lack of joined-up thinking, the kind of scenario that sees a company given R&D and making monies who are then denied the funds necessary to tour the finished piece. They do tour, but guess who doesn’t get paid? The artists. With lottery sales falling, the pressure on G4A will only increase. The same companies who are reliant on G4A are also those who are often most adversely affected by the crisis in touring, which has seen a cut in fees and NPO venues shifting the risk away from themselves and on to companies. Yes, the standstill increase for many venues in the NPO portfolio represents a cut in real terms, particularly at a time of rising costs, but it pales against the fact that those venues are offering touring fees that are lower than they were 10 years ago. There should be credit where credit is due to ACE for being braver than it has been in the past in addressing some of the inequalities of British theatre and trying to reshape the funding landscape. But it will only really make a difference and genuinely support the future if it recognises the plight of non-NPOs and ensures that when the lucky few tie up their NPO agreements it’s a condition that they act collaboratively not competitively and use their good fortune for the benefit of others. And if they fail to show sufficient generosity, they should be held to account.